" this year. Still, there are optimistic expectations about this year's potential although it may be hard to exceed last year's record sales. Animals too have their own housing dilemmas. Rabbits with a strong self image may want to abandon last year's hole in the ground for something new, possibly on a grassy knoll with a view of the harbor. Coyotes and foxes may need a bigger den with planned family additions this year. Their needed food supply may also be a much more difficult problem as vacant land and forest areas are being developed by local humans. 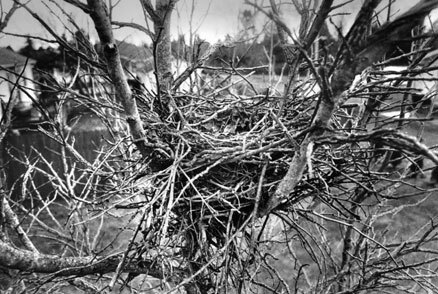 With fewer available tree branches many birds may have to reconsider using last year's nest, such as this available unit on H Street, near the high school. When we reach out and embrace our neighbors we see pictures that enhance everyday life in our own international community. Do Our Expectations Hold Water? Which Way Are We Going? A Mole Hill Or A Mountain?